Calandra's Spring book: Free uploads of 'Calandra's Spring'. 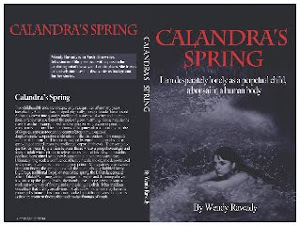 Free uploads of 'Calandra's Spring'. The 'sale' of my book on Kindle for free today continues and is a steady trickle of downloads. This has lifted my amazon.com rating considerably but I wonder how quickly that will drop after I am again charging (a small amount) for my months of work!? It seems that writers rarely hit the big time or even the middling-small time enough to make a living unless the book is sponsored from the start as some kind of 'corporate' undertaking. Of course, the sacrifice then is that, to some degree, you have to toe the company line and your writing becomes a mouthpiece for some robber baron (at worst). I've been in those shoes for many a long year as I have worked as a writer, technical writer and corporate and enjoyed the discipline of it, but felt it most gut-wrenching when matters I wrote about involved retrenchments and sackings. However, it paid for my kids to go to school, learn a musical instrument and travel. And I always tried to make the message optimistic with some direction towards a remedy.